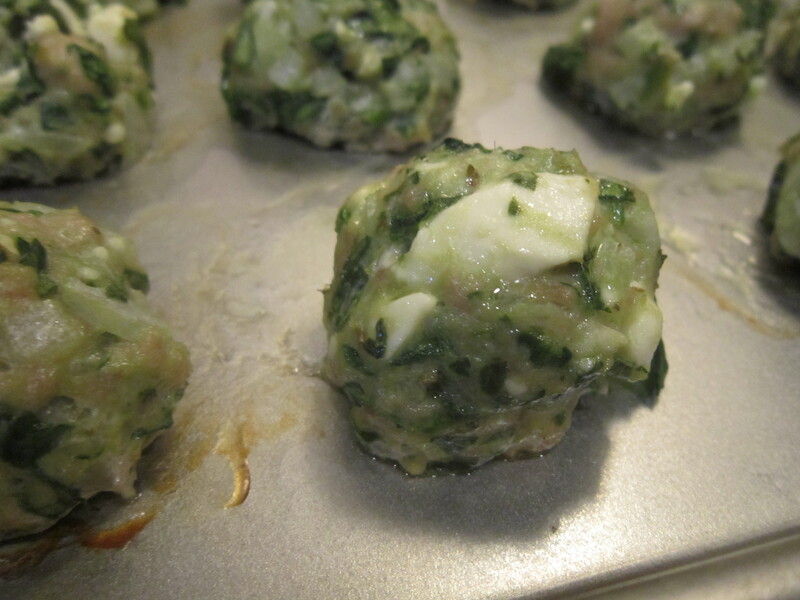 spanakopita meatballs & other super bowl party foods! I’m on cloud 9. I just spent 4 hours in my kitchen. I enjoy watching football, but I’ll be honest and admit that I’m more attracted to the food and commercials the Super Bowl has to offer. And that last night Kelly and I spent 15 minutes giggling at a YouTube video of last year’s Puppy Bowl. I mentioned a week or so ago that I really wanted to make a bunch of food for the game, but didn’t want to host a party. Aaron jumped right on that request and offered to invite people over to his place for the game if I cooked all the food. Best of both worlds. So I spent today prepping in order to make tomorrow a lot easier so that I don’t miss the national anthem kickoff. I started with pizza dough since it takes time to rise. I’m going to make two pizza breads- just sauce, grated mozzarella, and pepperoni rolled up in the dough. Brush with egg, sprinkle with parsley and salt, and bake at 350 until golden. About 30 minutes. Then I started on the chicken wing dip, because that’s always a crowd pleaser. And it was specifically requested by one of Aaron’s friends on the Facebook invite. Apparently it’s my specialty, which puts me at celebrity chef status, right? Mix all ingredients but the chicken in a large bowl. Incorporate the chicken, doing your best not to overwork the meat. 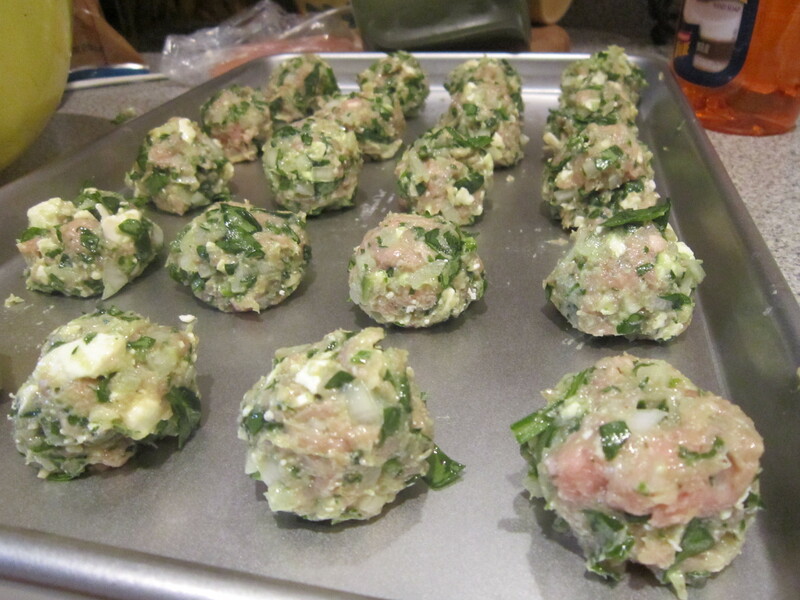 Scoop into little balls and place on a baking sheet. Mix all the ingredients for the dipping sauce. 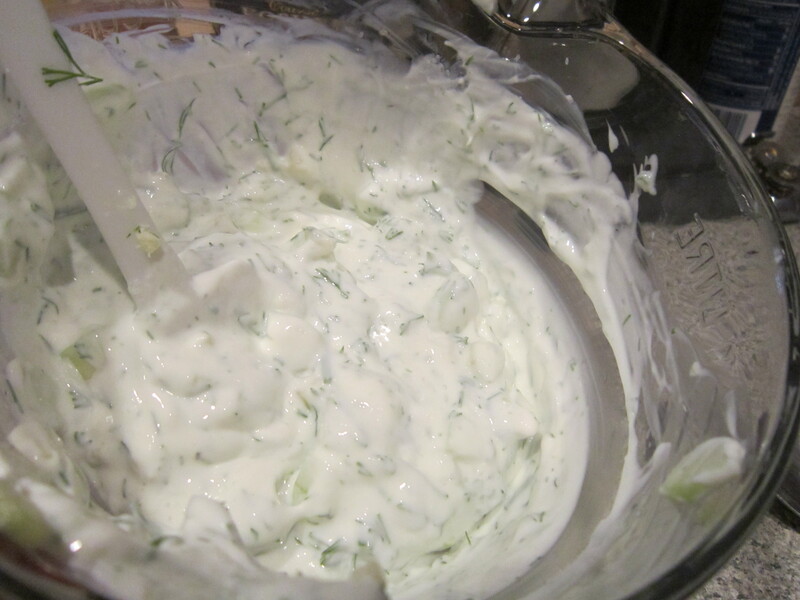 On a side note, this makes WAY more dipping sauce than you need for the amount of meatballs. 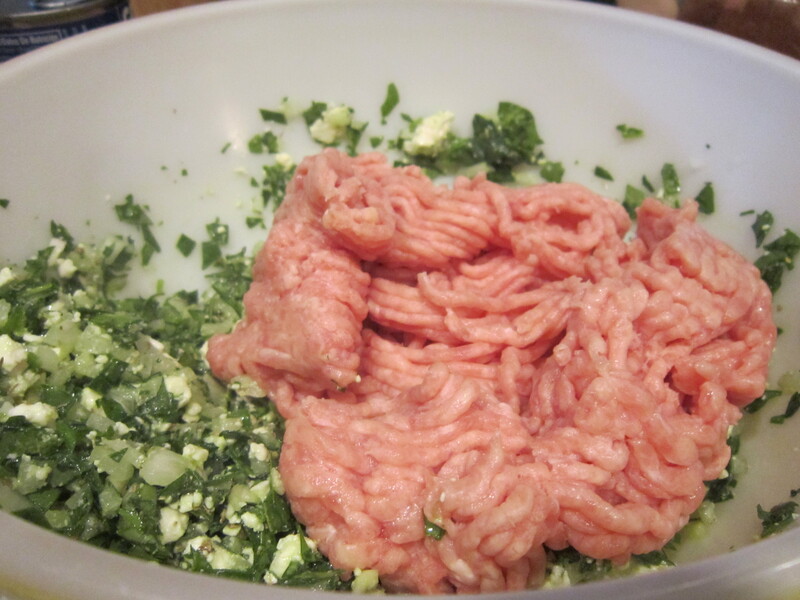 You could double the meatball recipe and have enough dipping sauce. I might end up making another batch of the meatballs tomorrow. I tried one, with the sauce, and they’re SO yummy. I believe I’m also making bacon-wrapped scallops, because Travis says he has some scallops he’d like to donate. We’re going to have so much food and I think there’s only about 10 people attending. So if you’re in the Baltimore area, feel free to join us. And 24 hours from now I’ll just be baking the pizza bread and chicken wing dip, reheating the meatballs, and kicking back on the couch hoping for a good e-Trade baby commercial. Party on. 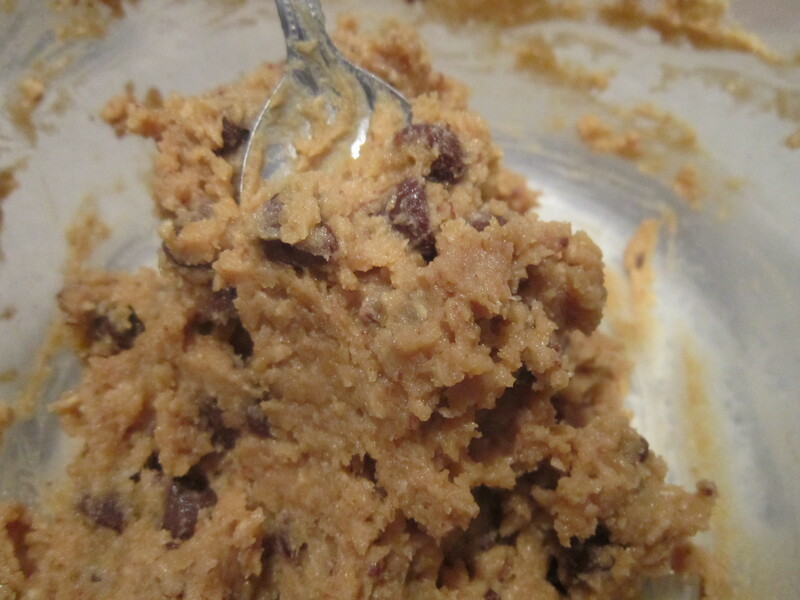 1 can chickpeas, 3 (heaping) tablespoons peanut butter, 3 tablespoons oatmeal, 1 tablespoon milk, 2/3 cup brown sugar, 2 teaspoons vanilla, and a bunch of chocolate chips. I’ve made it twice already and it went over really well- highly recommend! !